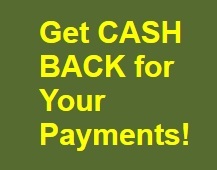 Great Canadian Rebates Blog » Now you can GET PAID for Cashing in your Cash Back Rebates!! Now you can GET PAID for Cashing in your Cash Back Rebates!! Could you imagine going to work and your boss hands you your paycheck and says “here is MORE MONEY as a thank you for accepting your pay from me”? Talk about a dream come true! Now you can get as much as 4% CASH BACK for Your Payments from Great Canadian Rebates! We still offer you the option of Paypal and Cheque payments for your Cash Back Rebates. NEW to Great Canadian Rebates is the option to choose an eGift Card as your Cash Back Rebate payment, and when you do, we give you a Cash Back Rebate. Yes….that is a CASH BACK REBATE on your Cash Back Rebates! Choose the method of payment that works best for you, however Cash Back Rebate for payments is only available on eGift Card payments. It’s really easy to choose eGift payment because the minimum account balance required starts as low as $5.00 (depending on the card you’ve selected). Monthly payments via eGift Card is automatic. Just LOG IN to your account, and choose the eGift card you would like to receive. On the 25th of each month the eGift card will be emailed to you if your balance reaches the minimum required by the card. Minimum starts at $5.00 excluding Signup Bonuses. You can change the gift card selection at anytime. Payments are on the 25th of the month. Once the eGift card is sent to you, a cash back rebate will then be deposited into your GCR account. The cash back rate is dependent on the card. Choose from over 35 eGift Cards including Amazon.ca, BestBuy, Golf Town, Sephora, and WaySpa. CLICK HERE to see the full list of cards, the minimum balance required, and the Cash Back Rebate amount that will be posted to your account.